Call me nostalgic, but there is nothing better than revisiting your favourite childhood holidays' with your own family. Maybe it’s because I've come full circle, or maybe that ice cream I had when I was six was just worth going back for. Either way, when Parkdean Resorts suggested we go on a coastal adventure, I jumped at the chance. It’s been a good while since I went further than our local beach, and an adventure sounded like a perfect excuse to revisit one of my favorite holiday destinations' as a child. We packed a picnic and filled our pockets with pennies for the slots, and set off on an hour drive up to Wemyss Bay. Wemyss Bay is a quaint village on the coast of the Firth Of Clyde, and is very much a hidden gem of a holiday spot. 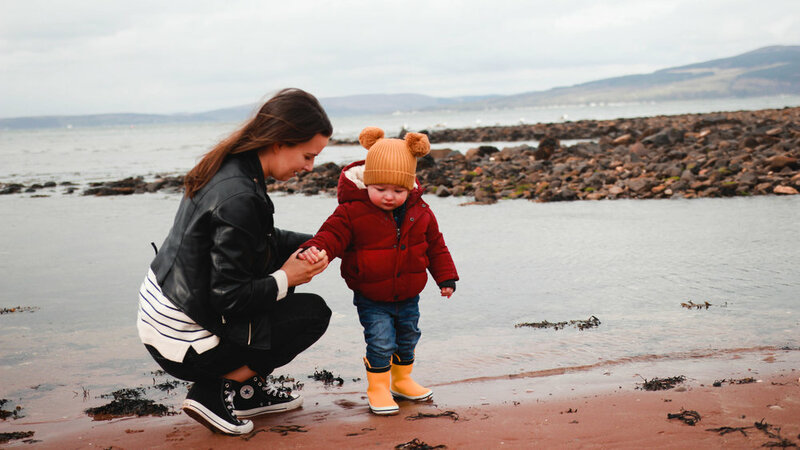 You won't find a multiplex cinema or a water palace in Wemyss Bay, but it serves as the perfect base for exploring everything the Scottish coastline has to offer, and our trip reminded me exactly why I used to love those sorts of holidays’ as a child. You may not drive away with a tan, but that’s not to say the Scottish coast isn’t the perfect family holiday destination, and I thought I would outline some of the reasons why. There’s something about an ice cream at the seaside that trumps all other ice cream. I would even go as far to say that it goes over and above Ben and Jerry’s cookie dough, and that’s saying something. It may have been April (and snowing) but we were still first in line at the van for a 99’ – if you’re a regular seaside go-er you’ll understand the disappointment I felt when I was told there was no flakes, but a cone is a cone, and the toddler didn't seem to mind. It’s not just the ice-cream though, everything tastes better sea front. In terms of recommendations for restaurants near Wemyss Bay, I’m not the person to ask. I'm sure there are plenty of great choices, but I can’t say we ventured further than the chip shop and the local carvery, but that’s what I look for when I’m caravanning. Fast, greasy and the foods you only ever eat on holiday. When I think of staycations by the sea, I think of Cornwall, or Brighton. I don’t think of Scotland, and that’s because it’s always hard to think of your home as a holiday destination. I’ve touched on this previously, but Scotland is a damn good holiday spot – especially by the coast. It offers the best of both worlds. Take Wemyss Bay for example, it's a picturesque village a stone throw away from Largs, has the luxury of the peace and quiet of a small village, with enviable connections to Glasgow and Edinburgh. We didn't need the hustle and bustle of the cities, but if we we did it would have been at our disposal. Instead we settled for the sea breeze, a slow weekend and some fresh air. 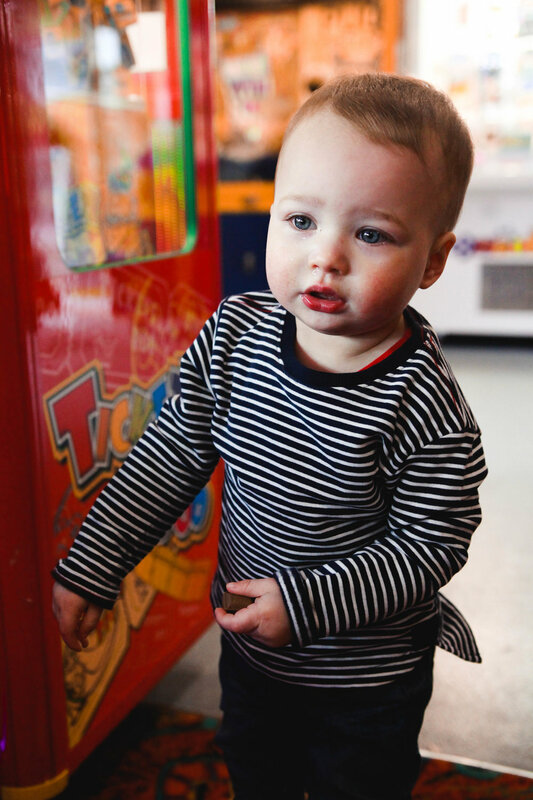 I say slow weekend, we took a toddler to a sea-front fair ground - how slow can it really be? The Scottish weather is unpredictable. At best. Over two days we saw the sun, we were drenched by the rain, frozen by the snow and battered by the hail. On what other holiday could you experience all four seasons in 48 hours? In April the coast is certainly brisk, but it’s a perfect opportunity to bring the winter hats and make a good argument for a good old hot chocolate to follow the ice cream cone. The weather is what you make of it, if your anything like me, you'll relish the opportunity to take a very Instagram worth umbrella. Despite the weather, if there is one thing that sets the Scottish coast apart from anywhere else I've been, it’s the scenery. I’m not one to find myself lost for words all that often, but it’s hard not to be even a little taken aback when you in a five minute period you've driven through built up towns into a beautiful marina, with snow-topped mountains and a beautiful lake to the side. Drive that little bit further, which is exactly what we did, and you’ll find yourselves at the seafront. The views are enough to even make the rain just that little bit bearable, and that's your fourth reason to visit. It’s going on twenty years, but I still remember caravanning at the coast as a child. I lived for the two pence slots and going swimming on a Sunday morning with my dad while my mum made the bacon sandwiches for us coming home. I’m almost certain I’ve still got the scars on my legs from sitting crossed legged in front of the fire for hours while I waited for the rain to stop so that we could go and fly a kite on the beach. I went into school with stories and I've remembered them twenty years later. I loved it at five, I loved it at fifteen (as long as there was wifi) and I still love it going on twenty-five. That's the best part. Everyone can find something to love. I can almost (definitely) guarantee you won't be coming home with a sun tan, but Scotland has a lot more to offer than Irn-Bru and a dodgy sounding account. 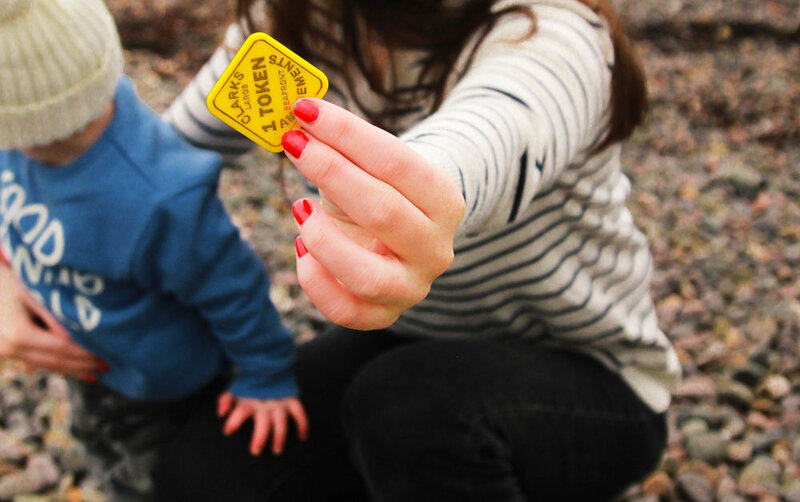 An adventure to the coast will give you the best of what Scotland has to offer, and an excuse to get rid of every 2p you can find under the couch. We take for granted just how close we live to these amazing places, and yet every time we go I ask myself why it's taken me so long to come back again. If you live near the coast, or your willing to take a drive to really make the most of a weekend, Parkdean Resorts are looking for people to share their #CoastalAdventures across social media. Let me know if you do - I would love to see what the coast looks like where you live. Disclosure: This post was written in collaboration with Parkdean Resorts. As always, all opinions are my own and we are massive lovers of the Parkdean Resorts (ask my dad, who single handedly funded the Sandylands Holiday Park with our visits throughout my childhood).